FREE OPPORTUNITIES TO GET ON STAGE AND PLAY! The Magnet mixers and jams are shows occurring throughout the week where anyone from superstar to first time improviser can sign up and play on the Magnet stage. Magnet students past and present join improvisers from all the world over and non-improvisers who just want to play, forming rare and wonderful one-night-only combinations. 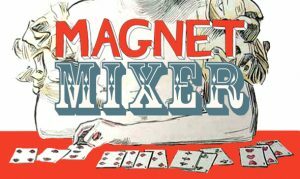 The Magnet Mixers are often hosted by resident house team members and always feature a fun and supportive environment for anyone to get on their feet and make people laugh through improvisation. Every Other Tuesday at 6:00 pm (sign-ups at 5:00 pm) See schedule here. 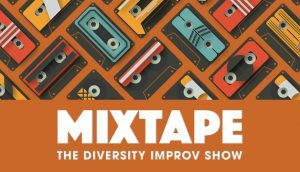 One Monday a month, we host the Diversity Jam, an open jam to celebrate diversity at the Magnet Theater. Sign up to play in 7-minute montage sets led by Magnet performers. We bring the butter, you bring the jam. See schedule here. Wow. That's a lot of jams and mixers and they're all super fun. Come and play, you might get to do a scene with the old-timey card player lady in the picture!